In our regular new music round-up this week, Getintothis’ Patrick Clarke finds his finest psych-pop tune of the year, the Norwich sisters making an extraordinary debut and sumptuous bossa nova soul. With bands like Blossoms beginning to recapture the groove of tight, vintage pop on this side of the Atlantic, Los Angeles singer-songwriter Pearl Charles‘ early new 7″ You Can Change has bettered them all in one swift assault. Though psychedelia’s become a genre somewhat saturated towards the accessible end, at what seems to be the twilight of its revival, with a steam train of a groove and slashes of old-school organ Charles sets up a pedestal on which to flaunt what’s on one level an exhibition of singularly breathtaking talent, and on another one of the year’s best pop songs, impervious sparks of guitar backing an enrapturing vocal of supreme presence. It’s far from a lone triumph for the singer, with I Ran So Far, cut from her upcoming self-titled E.P. from the ever-dependable Burger Records, striding a differing path of tender alt-folk lent similar hypnosis by Coral-esque chimes, heartwrenching slides of guitar and, most importantly, an all-pervasive brilliance to Charles’ vocal. 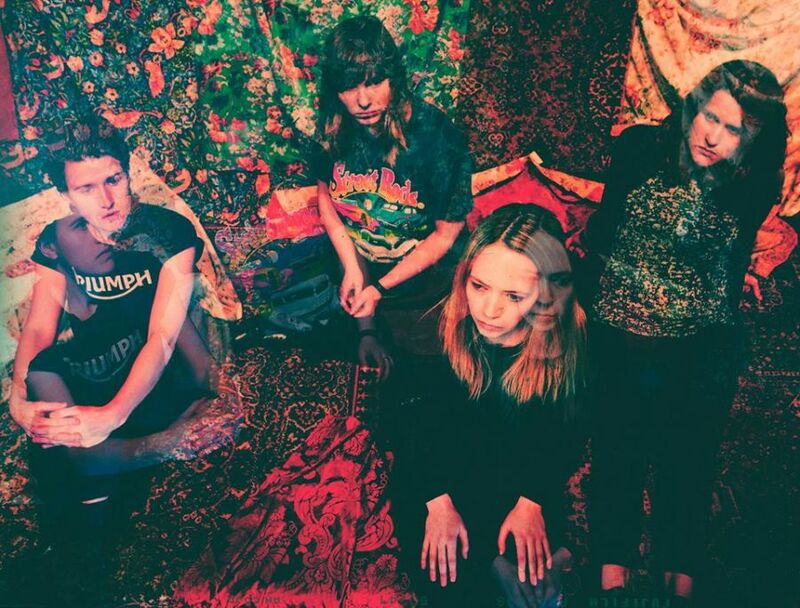 Elsewhere, there’s not a whole lot we know so far about Norwich sisters Graceland – Rosie, Ellie, Stevie and Maxie to their mum – who (we think) are yet to play their debut show, and whose first recorded outing Jackdaw appeared in our twitter feed just two hours before the time of writing. But what a song it is, enjoying a lopsided swagger of bass and gorgeously gloomy injections of guitar on the verse, opaquely tinged by stabs of gothic organ, and a ferocious, ominous rise of deep aesthetic on the chorus, the foursome’s joint vocals chant their incantations with hypnotic detatchment. That they’re already booked to play Bestival off the tune’s back says it all. Finally, as we all know, bossa nova and Portishead are the two greatest achievements in the history of recorded sound, it’s what Thomas Edison had in mind… probably, and on Sey Mi Ami the first track to appear from Wolverhampton-born now Medway-based Fay Hallam‘s new solo album Corona, there’s flavours of both in a sumptuous, stylish instrumental and a commandingly close-quarters vocal that sits in the happiest of mediums between Beth Gibbons and Astrud Gilberto. Elsewhere on the record, released in October, Hallam nets an eclectic intake of style elsewhere. Soul Revolution is a masterpiece of 70s revivalism with pumps of brass and gospel organ, Giving Myself Away flirts with acid-Western, while Let Me into Your Soul is the album’s standout of bassline struts and throwback girl-group backing vocals. There’s even a cover of Maybe I’m Amazed.